Jupiter transit to Libra 2017 prediction for Capricorn Sign - Guru peyarchi palangal 2017 for Makara Rasi as per Thirukanitha Panchangam. Let us analyze prediction of 2017 Jupiter Transit for Capricorn Sign in details, so we can know what to expect. The Capricorn is the 10th Sign of the zodiac houses. The stars or Nakshatras Uthiradam (padam 2, 3 and 4), Thiruvonam and Avittam (padam 1 and 2) come under this constellation. The people born under any of these stars have Capricorn as their moon sign. Last year, Lord Jupiter had transited to the House of Virgo on August 2, 2016 and is currently placed there. This year, He transits to the House of Libra on September 2, 2017 and stays there till October 4, 2018. The Jupiter transition last year brought in many welcome changes to your life. Students excelled at their academics. Your work atmosphere was congenial and you received your promotions and increments. Your business was prosperous. Those awaiting marriage got married. Childless couples got their wishes fulfilled. Money flow was quite good. Your family had many reasons to cheer. Lord Jupiter transits to the House of Libra on September 2, 2017 and stays there till October 4, 2018. Jupiter transits to your 10th House, the House of longevity and career. The presence of malefic Guru at this place will not bring good effects. For living a life, a career is essential. When Lord Jupiter is present at this House, your work will get disrupted. Some might lose your jobs or businesses. Lord Jupiter aspects your 2nd House (House of Aquarius) with His 5th part gaze. This brings in good luck for you. The 2nd House deals with family and wealth. Your family will stand by you. Celebratory occasions will arise. 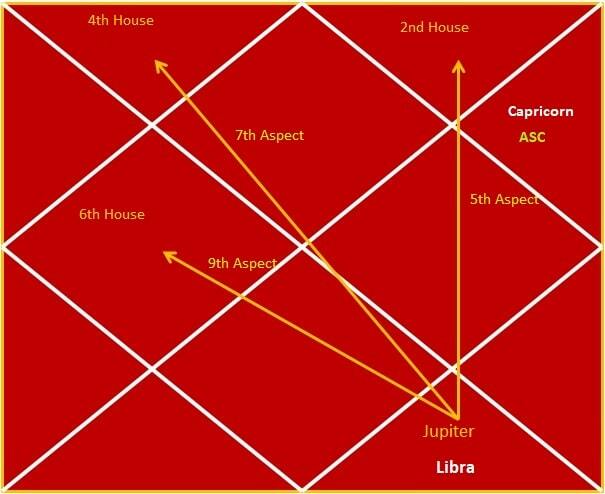 Planet Jupiter aspects your 4th House (House of Aries) with His 7th part gaze. This House deals with maternal side and your general well-being. Your mother’s health will improve. You will receive land, gold and house.You might travel abroad. Jupiter aspects your 6th House (House of Gemini) with His 9th part gaze. This House deals with health, debt and enemies. Your health will improve. Operations will be averted. Court cases will be favorable for you. Those wishing to take up a new job, should first decide firmly on which job they want and then go for it. Else, it will cause unnecessary waste of time. Some might not be able to attend to their jobs because of ill-health. Some might have to travel abroad for their jobs. Situations might arise, where the husband and wife will have to live separately due to their jobs. You might travel to far off places on a devotional journey. Hurdles will come up in your talks for marriage and childbirth. Though you will face trouble at your work, it is best to keep calm and face it out with silence.